ANDREW TULLY: So we’ve seen very significant changes to the retirement market over the last few years. So before pension freedom the vast majority of people bought annuities, so probably about 80% of people would buy an annuity at retirement. Since then a huge shift and the default retirement product is now drawdown. So the vast majority of people now buy drawdown. Annuity sales are probably about £4bn a year. So still a decent amount of money, but it probably was about £12bn a year before. So the market has fallen quite substantially and most of that money has now gone to drawdown. There are some people who are just taking cash. So they’re just encashing their pots and just taking money straight out and perhaps paying off debt or going on holiday or whatever they want to do with that money. But drawdown has probably been the big winner, so that’s a bit of a change. And all products have upsides and downsides. Drawdown is a fantastic flexible product, but it does come with some risks, and those are the kind of risks that we’ll talk about as we go through today. PRESENTER: Well we hear a lot about running out of funds, I mean how likely is this scenario? PETER CARTER: Well we’ve done some work on that, and it does depend on how financial advisers advise their clients, and obviously you have to look at the amount of income that a client is going to take. You have to look at the investments that they’re invested in. But there are different ways of organising income to make it more certain. One of the things that we’ve found when we speak to clients is that they value enormously some of the benefits of an annuity, particularly the certainty of income. But when push comes to shove and they have to make a choice, the flexibility arguments and the access to capital that drawdown offers is a huge pull. So I think that the real secret is to work out how you can do a drawdown whilst also giving clients certainty and longevity of income. PRESENTER: Now many advisers do actually say that you need £100,000 to make drawdown viable. Is this the case? ANDREW TULLY: I think that was traditionally, that number was talked about traditionally before pension freedom. That’s certainly not the case now. So the average drawdown pot over the last few years is probably about £80,000 going into drawdown. And obviously averages hide a huge variety of things, but there’s a lot of very big pots going in. There’s £½ million, £1m pots going into drawdown. So you can see that that will skew that average. So there’s lot of people using drawdown with maybe £50,000, £60,000, £70,000 of money. And that can work. If you’ve got a big secure income from somewhere else, if you’ve got state benefits and a defined benefit pension giving you secure income, and this is just a top up, then that can work perfectly well. If £70,000 is all you have in the world in pension savings, then there’s a great deal more risk in going into drawdown with a small pot like that. PETER CARTER: We did some polling with IFAs, and there is a correlation. Smaller pots IFAs are more cautious about recommending drawdown. So at £50,000 we found about 50% of advisers thought it could be appropriate; at £100,000 it was 75% thought it was appropriate; but then once you get over £250,000 then almost universally advisers think that generally speaking, obviously you have to look at the specific client case, but generally speaking drawdown is the most appropriate route on those larger pots. PRESENTER: And this sort of thinking, this doesn’t raise any issues, or is this a longer? PETER CARTER: I think what Andrew said earlier on is absolutely critical here. Because for one client £50,000 in drawdown is perfectly fine. If they’ve got other sources of income and they’re not specifically reliant on that money, then that’s great. If it’s the only source of income they’ve got, then you probably should think twice about that. 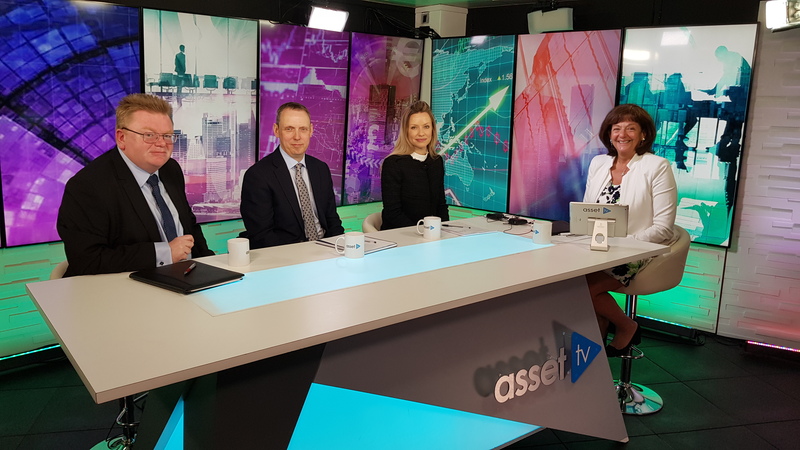 ANDREW TULLY: And I think one of the other key potential issues in the market at the moment is those small pots are much less likely to be getting advice. So if you’ve got £50,000 and you go into drawdown it may not be through an adviser. And that can exacerbate the risks if you don’t have an expert hand helping you through the process. Again, it can prove very problematic because you might just not understand some of the risks, or you might not appreciate some of the risks that you’re facing. PRESENTER: So do you think there’s an issue though that a lot of advisers are advising drawdown to people who perhaps it’s not appropriate for or? PETER CARTER: No, I think actually when it comes down to it, and all the survey work that we have done gives slightly contradictory answers, in as much that if you ask clients what they like about an annuity they’ll tell you that it’s the guaranteed income. And you ask them what they like about drawdown and it’s the flexibility. But when push comes to shove, as I said earlier on, flexibility usually trumps the certainty of the income. So the challenge really for advisers is accepting the fact that clients are generally going to plump, particularly with larger funds they’re going to plump for a drawdown. The challenge is how do you make sure that the income is going to last, it’s secure, it has the potential to increase, it’s those kind of critical investment choices that need to be made. And I think this is, to Andrew’s point, it’s absolutely critical that clients get advice - because unless you’re a very experienced investor, understanding how to invest your money to get long-term stable income, it’s a tough ask. PRESENTER: Well just to understand drawdown a little bit further, so how is this set up and any implications we should be aware of there? PETER CARTER: Yes, I think that it does matter how you set up a drawdown. Obviously the key element for most, the starting point of the conversation is going to be what a client wants out of their drawdown is a primary aspect for them, death benefits to leave something for their beneficiaries, or is it purely income for them. And I think if you start with that kind of macro look at the client’s circumstances, then you can dig down and understand what the best strategies are going to be for a particular client in a particular case. Because the strategy that we’ve looked at, there’s absolutely no way that we would say that any one of them is right in all circumstances. You’ve really got to look at the individual client, see what they want and then work out which strategy is going to be best for them. ANDREW TULLY: And I think just adding on that, I think it’s key that a strategy may well change as someone goes through retirement, so no one has a 25-year period where nothing changes. So we can see some quite big changes as people go through retirement. So it’s not just working out what strategy at outset; it’s continuing to review that on an ongoing basis and working out if a different strategy may be appropriate somewhere down the line. PRESENTER: Now, Peter, you’ve tested five different strategies to look at the outcome. So let’s turn to Peter to find out what these are. 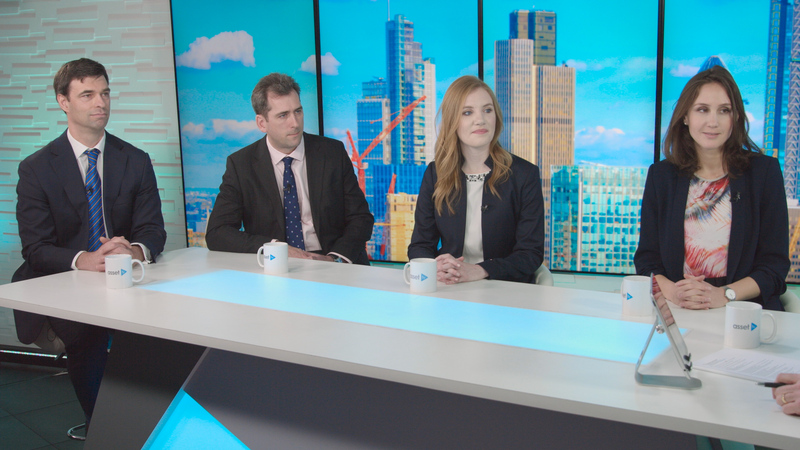 PETER CARTER: So we’re going to look at the various strategies that IFAs can choose when recommending drawdown to their clients, and then later we’ll discuss what the implications of those strategies are. We’ve taken five, which we believe are the most common strategies used by financial advisers, and they are in no particular order. The first one unit cancellation, where a client invests their fund in a selection of unitised funds, and then for their income on a regular basis simply cancel units each month to the value of the income that they require. The next strategy is the similar to the unit cancellation strategy, but using a cash buffer. Now what does that mean? Basically a number of months or possibly years’ income is invested in cash, which gives a source of income not exposed to volatile markets. The reason for this is simply to avoid some of the worst impacts of sequence risk that can affect a client’s drawdown plan. The next strategy quite commonly used is that of living off the natural yield of a selection of investments that the client has made. So if a client has fixed income assets and maybe high yielding equities, then they can use that income to provide their daily spending income. And obviously there’s no unit cancellation involved in that solution. A slightly more complex alternative is something that we call the longevity backstop. This is where a sum of money is put aside at outset with a view to buying an annuity for the client when they reach age 85 or 90. In the meantime the balance of the fund is used to provide income on a regular basis to the client. This is a means of providing the potential for a client to have income for life, but without the risk of running out of money at any particular point because once the client gets to 85 an annuity is purchased. And the final strategy that we’ve looked at is very simple, very straightforward, which is annuitisation, simply taking the client’s fund and buying an annuity, using all the information that a client, that an adviser has about the client to get the best annuity rate available on the market at the time. So those are the five strategies, and hopefully be able to investigate the implications of each of those strategies. What’s good, what’s bad, what will work for some clients and how you make a selection from each of those strategies for each individual client. PRESENTER: Right, so these outcomes are using stochastic modelling, so let’s start with if you could explain what exactly that is. PETER CARTER: Well it’s a technique for looking at what the outcomes of a particular investment scenario is - so basically what we do is we look at one investment scenario, say the performance of the FTSE, and then we jumble up each daily movement from the FTSE or any other index, and run those 10,000 times. So effectively what happens is that you get 10,000 different investment outcomes. Still using real investment data, so we know these are things that can happen, but just changing the order in which those investment outcomes happen. Now, what we’ve done for this particular exercise, we’ve used an external independent consultancy called EValue to do this modelling for us. So what we wanted to make sure of is that we had a completely independent analysis of what these drawdown strategies are and what they do because it’s really important for a financial adviser to have confidence and trust in the data that we’re supplying. This isn’t data that we’ve generated; it’s just purely looking at the outcomes of this data modelling exercise so that advisers can be confident that what we’re telling them has some substance in fact. PRESENTER: Now, you did actually say that these five strategies are the most common strategies used by advisers, but out of those five are there more popular ones that they tend to refer to first? ANDREW TULLY: I think there’s more commonly used ones. So the first couple that Peter touched on are probably the most commonly used. So the unit cancellation and the cash buffer are probably the two most commonly used by advisers. And within, I guess just to expand on what we did, is as well as doing all the different modelling that Peter talked about, we’ve then cross referred how long we expect people to live. So that initial modelling is talking about how long money might last, but obviously how long money might last is then partly relevant to how long you’re going to live. And obviously that’s individual, so we’ve used averages and we’ve talked about probability of survival. So some people, obviously, looking at an average is not necessarily always accurate because half are going to live longer than that and half are going to die before. So we’re trying to look more at probabilities of living a certain length of time, and then that hopefully will give advisers some comfort that money will still be existing as long as the client is living. PETER CARTER: So the particular instance on unit cancellation that we looked at. We looked at £200,000 being invested, £10,000 a year being taken as income, and we did our modelling, our 10,000 runs of investment scenarios. And what we found was that in the middle scenario - so this is where 50% of cases are worse, 50% of cases are better - the income ran out after just under 26 years. Now bear in mind that that is just short of what the life expectancy is for that individual. Now that’s really important in terms of the outcome from the client’s perspective because remember that at 50%, life expectancy 50% of those people are still alive. So if there’s a chance that they’re going to run out by that point, then that’s an important consideration to take into account. Conversely, in the good outcome from this scenario, the income lasted for over 40 years, which takes it way beyond someone’s life expectancy. But in the poor outcome it lasted just 20 years. So it really is important, and this again comes back to the financial advice piece, that a client doing it on their own and happily thinking that they can take a certain level of income for the rest of their lives, that may not be the case. It really does require regular review to check that you’re on course to be able to sustain the income that you’ve set in train on the drawdown plan. But it’s an interesting outcome because to Andrew’s point earlier on, taking one strategy that outset and staying with it throughout retirement of itself may not be the best thing to do. It really may be a question of starting on one strategy and moving to a different one later on. ANDREW TULLY: And I guess it’s important also just to cross-refer to what the client’s needs and wants are here. So I guess can be a good strategy for someone who income is a key criteria for them, they’re most interested in getting income for them. If they wanted to pass money on to family, again what the modelling shows is in the average case money is probably running out about the same time as they die, and that means there’s probably little or nothing left to pass on to family. So if intergenerational wealth planning is the key, then this might not be the best strategy to achieve that. PRESENTER: Now, why would advisers go to those first, and do you think there is actually quite a need for them to consider alternative strategies? ANDREW TULLY: I think perhaps why they use them, they are most commonly, they’re probably the most simple as well in a way, so the most simple and straightforward methods to use. So that may well be a reason that they’re used. They also, from an income perspective they’re probably the ones that generate the most income. So again a lot of client needs are determined by what income they need at outset. So that might be a reason again these strategies are used. PRESENTER: So why then would you refer to the other three strategies, in what situation would they be appropriate? ANDREW TULLY: So again it comes back to what client needs and wants are. So, if a client, if cascading money to family is almost number one and income to that individual is number two, then something like a natural yield strategy may well work. So natural yield is likely to produce a lower income, at least at outset, but because you’re just taking income, interest, effectively, and you’re hopefully leaving the capital untouched, it means that you have a good amount to pass on to family in that kind of situation. And so for passing on wealth different strategies can be beneficial. So it comes back to very much what a client’s needs and wants are. PRESENTER: Well let’s look at that then, so how to choose the right strategy for each client and to maintain that it is the right strategy. So shall we go through each one in turn and then look at the pros and cons of each one? So which one? PETER CARTER: Yes, well we’ll start with unit cancellation, and I think as Andrew said part of the reason that this is a favoured option. It’s really easy for a client to understand. They simply make their investment and they cancel units to take the income. And of course the income that they have can be any level they want. Now particularly as clients start their retirement journey, taking maybe high levels of income is appropriate because they may be retiring at 60. Waiting for other income to kick in at 65 or basic old age pension to come in. So there’s very often a need to take higher levels of income to bridge a period initially. So simplicity, the ability to flex income, they’re all strong points for unit cancellation. I think the downside is that unit cancellation and to a certain extent cash buffer are impacted very seriously by sequence risk. Now I think there’s been a lot of conversations about sequence risk over the last few years - pound cost ravaging as it’s often called - if markets fall and you continue to take the same level of income, it can have a very damaging effect on the value of the fund, and it’s very difficult, particularly if that happens in the early years, it’s very difficult for a client to recover from that. So that’s something that advisers have got to be mindful of when they choose this strategy. That there are circumstances where if you have market corrections or even market crashes, that’s the time to look at whether the income is sustainable and maybe take a suspension of income for a short period of time until the volatility has passed. PRESENTER: And cash buffer, I know we’ve spoken a bit about it but pros and cons? ANDREW TULLY: So with cash buffer the positive is because you have a certain amount in cash and you’re withdrawing your income from cash, you’re not cashing in the underlying investments on a monthly basis. So sequence of returns risk is lessened to some degree because you’re not cancelling units out of investment funds on an ongoing basis; however, what you need to do is again top up that cash bucket on a regular basis. So say you’ve got a year’s income in there, after six months or nine months or however long you might want to put more into cash, so that means selling units at some point in time. So again you still have to time the market to some degree to sell units to top up that cash buffer to give you enough to pay income on an ongoing basis. So it still has some issues around that kind of issue. The second point is if you have a certain amount of money in cash, certainly at this moment in time that is returning no interest at all pretty much at the moment. So the overall yield on your portfolio is lower. So if you’re investing 100% in equities and you’re getting 6% then that’s lovely. But if you’re putting 20% of your money in cash and that’s earning zero, the overall return you’re getting is less. So it does have downsides. It has some very nice advantages like all of these strategies because nothing is perfect. So they have plus points, they have downsides, and it’s about trying to align the client needs to those upsides to make sure that you’re using an appropriate strategy. PETER CARTER: And it’s interesting because the modelling that we did for the cash buffer actually showed that the income lasted for a shorter period of time. This surprised us enormously. Our view was that cash buffer was a way of reducing risk, not increasing it. And of course it’s still, that type of strategy still has lots of merits for an advised client because an adviser will look at the timing of when additional income is added to cash, which obviously is a critical element of this. But the reason that we found that the income lasted less was because if you just automatically renew the cash buffer every year or every two years and markets have fallen, you’ve actually exacerbated the fact that the impact of sequence risk rather than reducing it. So cash buffer, yes it really works, but it really works in an advised context. And so this is one the themes that came out of all of these strategies that we used was that advice is still critical, that there is no free lunch. If you want to get the best from your pension fund, you need to monitor it; you need to have someone advising you through time. ANDREW TULLY: And I guess of course both our strategies, unit cancellation and cash buffer, where the adviser can really earn their merit is not just working out where the money is invested, it’s working out where it’s encashed from. So if markets are volatile, you might not want to take it evenly across all assets; you might want to take some money out of bonds because they’re doing OK and leave equities alone, or vice versa. And so using that is where advisers can very much play their part. PRESENTER: So moving on to the third strategy and that’s using natural income or yield, what are the advantages here? PETER CARTER: Well the clear advantage is that because you’re not surrendering units, you’re immune effectively to the sequence risk that the other types of strategies can have. The downside is purely the fact that if you look at what yields are on most assets, they’re quite low at the moment. So as long as a client is in a position where income isn’t the key requirement, then living off the natural yield is a great way of organising a drawdown portfolio, particularly if a client is concerned about passing wealth on to future generations. Because this was one of the strategies where in all of the outcomes from our analysis, there was cash to pass on to generations. Obviously if performance is good it’s a lot more, but even in the scenarios that we tested where the outcomes and the performance was poor, there was still money that was left available to beneficiaries however long the client in drawdown lived. So whether they lived for five years or whether they lived for 40 years, there was still a pot at the end of it that they could pass on to beneficiaries. So this is a really strong argument for living off the yield if death benefits were a key requirement for that particular client. And, you know, in many cases there will be, but actually I think what most advisers find is that when they speak to clients they have to balance the requirements for income with death benefits. If you’ve got a client that simply wants death benefits then yes go to living off the yield, but generally speaking clients want a little bit of both. They want reasonably sustainably and high levels of income, and they want death benefits, and that’s where the real expertise of the adviser comes in because an adviser is able to give a client the appropriate advice to get the best chance of achieving that. ANDREW TULLY: The other potential downside I guess of natural yield, just building on that, is income can be fluctuating as well. Because the yield you’re getting back from the assets is unlikely to be constant as dividends or income or whatever yield you’re getting back is likely to fluctuate over time, so that means the income going to customers is likely to fluctuate over time, and not all customers will be able to cope with that. So some customers will like to know that a certain amount of money turns up in their bank account every single month, and they won’t be comfortable if that is going up and down on an ongoing basis. So if someone has other guaranteed incomes, so state benefits, final salary pension, and this is over and above that, then they might be able to cope with that fluctuation much more straightforwardly. But if this is all their income in the world, then not everyone will be comfortable with the fact that that income might change month to month. PRESENTER: So what kind of client would that be suitable for I mean in terms of a level of understanding? I imagine they would need to be able to understand. PETER CARTER: I think they’d probably be a little bit more sophisticated. They’d probably have wealth elsewhere as well so that they understand the implications of living off the yield. But it needn’t be restricted to the more wealthy clients. I mean again it’s looking at individual client circumstances. If someone has a defined benefit pension scheme that is providing them with the majority of the income that they’re going to spend, then it’s perfectly viable to, with a relatively small pot, take the income yield as a sort of bonus income, and then you’ve still got the pot of money to pass on as a lump sum for beneficiaries. ANDREW TULLY: And I think good communication again is where advisers can really help customers is trying to simplify that concept of you invest a certainly amount of money, you get a certain income level from that but your capital is untouched. And so I think it can be made quite straightforward, but I guess you just need to pull out the risks and benefits that it provides. PRESENTER: So let’s move on to longevity tail risk. Peter, why don’t you go with that one? PETER CARTER: So this is probably one of the more complicated options for advisers to recommend, but it did score well from the perspective of income for life, and to a certain extent for death benefits as well. And the idea here is that you set a certain amount of money aside upfront with a view to buying an annuity at say age 85. So a 65-year-old could maybe put 15% of their pot away when they retire with a view to that growing over a 20 year period and then buying an annuity at age 85. And of course when they buy that annuity it’ll take into account their specific health circumstances at that time. So if their health has deteriorated they’ll get a higher rate with the annuity when they come to buy it. In the interim, they’ve got 85% of their fund that they can simply divide into 20 buckets and take 5% of that money each year. And if that fund is growing, then they’ll see an increasing income over that 20-year period with the certainty that when they get to age 85 there’ll be a pot of money there in order to buy an annuity. Now there are certain uncertainties because you don’t know what the value of the pot of money is going to be when you get to age 85 to buy the annuity. You don’t know what annuity rates are going to be at that time. But again this comes back to the idea of clients receiving advice. That you can track the progress of this on an annual basis, so you can see how the annuity pot is doing. You can see whether it’s on track to give you the kind of levels of income that you want and you can make adjustments along the line. And of course because you’ve not actually bought an annuity until age 85, the fund value is always available either if a client wants to take capital out, or if they die and they want to pass that money on to beneficiaries. So it kind of gives a little bit of the best of both worlds. But it is a little bit more complicated, it does need a little bit more monitoring. But for clients who maybe, that there’s longevity in their family history who maybe feel comfortable they’re going to live into their late 90s, then this can be a very useful way of combining some of the benefits of drawdown in terms of flexibility and access, with the benefits of annuitisation by deferring that annuity purchase process to a higher age when all the stats show that buying an annuity later tends to be better value than buying it much younger. PRESENTER: And let’s move on to the final one then. ANDREW TULLY: The final one is simply buying an annuity, so a very basic, very simple concept is you use your fund to buy an annuity. And obviously you take health into account and individual circumstances into account and the adviser will help the client get the best possible income for their capital. And in terms of certainty of income that is the best outcome possible because you know at that point in time no matter how long you live, whether that’s to 100 or 110 an income will be provided. So it is one, from a certainty of income perspective it is the best outcome. Where it falls down is the lack of flexibility. So annuities as has always been the case lack flexibility. So ability as people’s income needs perhaps vary through retirement, income can’t vary to fit their needs. And death benefits traditionally were a problem. That’s been solved to some degree now. We’re able to put much better death benefits onto an annuity. We can have 30-year guarantees. We can have money back guarantees. So people can be comfortable that the money will not be wasted or not be lost to them. It will go back to family should they die. But I think an annuity will suit some people, and people with particular income needs and people who are particularly risk averse. Where it probably more fits into the strategy as is as an element of a strategy, so people might want to use some of their money to buy an annuity, and that will give them an essential expenditure. It’ll cover the shopping and the gas bills and so on. And they can be comfortable that no matter what happens they’ve got enough to live on week to week. And the remaining amount can be invested in drawdown, and that gives them the nice to haves and the flexibility on that element. And again as people move through retirement, and as Peter mentioned you tend to get annuity rates as you get older, your health is perhaps more likely to decline as you get older, so buying an annuity in phases very much can be a sensible approach. So you might not want to buy an annuity at 55, you might be very comfortable in drawdown, but maybe as you get to 70 you might want to use some of your fund to buy an annuity, and then maybe a bit more at 75 and a bit more at 80 and so on. So using it, rather than an all or nothing solution but as part of the overall retirement planning, it can still be a very valuable tool. PETER CARTER: I think one of the key things that has yet to be addressed in the retirement debate and where annuitisation can be a really important factor is the decline in cognitive abilities, you know, various types of dementia that people get as they get older, and it quite easily be the case that you get to a certain point and clients aren’t really in a position to make some of the key decisions that they need to make about their retirement pots. We haven’t really seen this coming through in the debate yet, but my view is that annuitisation as clients get older is a really good exit strategy if you like in terms of putting clients into an environment where they can be secure in terms of income and they’re not having to make critical investment decisions where maybe their faculties aren’t as acute as they were in their younger years. So as part of a strategy to move from drawdown into a more secure form of income then I think annuitisation has a lot to say for it. And actually if you look back to the ‘70s when people had pension funds and bought an annuity, they’d maybe retire at 65 and their life expectancy was mid to late 70s. If you look at people today retiring at 65, they have a life expectancy probably double that. So if you put people in a similar position today, they would be buying an annuity at maybe 80 to get the same level of mortality cross-subsidy that they were getting in their 70s. So that just tends to push more towards the idea of annuitisation as a solution as people get older where the value of the annuity is much more obvious and a better value proposition. ANDREW TULLY: And I guess following on from that, the need for flexibility at an older age is perhaps lessened to some degree. So as people are going through late 50s early 60s there’s perhaps a number of events happening to them. They might be reducing their working hours, so they need some income to top that up. They might be retiring more generally. The state pension might be kicking in. So there’s a whole variety of things happening, and they might want a higher income at that point in time because they’re more able to do things and they have various plans in the early years of retirement. As you get through to late 70s early 80s your needs are probably in general more likely to become more constant, apart from potentially care, so care costs could increase at that point in time. So the need to have an income which fluctuates up and down is perhaps less required at older ages, perhaps you need a capital, availability of a capital sum at that point in time to help you out in that kind of situation. PRESENTER: So can you talk through a few examples of how these strategies work in practice and when perhaps a life event happens they should be changed? ANDREW TULLY: Yes, I mean I think they key, going back to advice, is in all of these strategies it’s reviewing it on an annual basis. It’s figuring out what’s happened to the investments over that period. It’s figuring out what income or lump sums a customer’s taken. Figuring out if their situation has changed because their income needs might have changed, partner might die and things like that. And any of these life events can have a fundamental issue on what the customer’s needs and wants are, so it’ll obviously change their income needs. But it might change and go wide. It might be more risk-averse should their partner have died. They might want to prioritise passing money on to children in that situation. So life events are a key one. But also investment markets are undoubtedly a situation. Since 2015, we’ve seen this big move to drawdown. We’ve had fairly benign investment conditions. So many customers have had relatively easy rides without being, so things have gone quite well for many people. If we hit into some sort of market correction, or very volatile markets, again that’s when customers might see more the risks that can affect them in drawdown. So again that’s when an adviser will need to help customers by looking at what’s happened, looking at the best way to move forward, and that can very much entail a change of strategy in that kind of situation if we’ve seen a market correction involved. PRESENTER: So then let’s recap on how to choose the best strategy for different clients, I mean what’s the way to approach this? PETER CARTER: Well I think it’s the fact finding process that every adviser will go through with their client will give the key indicators that they need to make a recommendation. And we’ve talked a lot in this presentation about the ongoing need for advice. A strategy that works on day one may not be a strategy that works five years down the line. The beauty of some of the more simple strategies, unit cancellation and the like, is that they can achieve a specific goal for a period of time and then you can move on to something else. So taking a relatively high level of income that wouldn’t be sustainable for a client’s entire retirement, perfectly feasible and may be appropriate for maybe the first three to five years of a client’s retirement, and then after that they can move on to something else. Maybe it’s living off the yield, maybe it’s a cash buffer type of approach, maybe it’s just reducing the level of income because a client has received an inheritance. You know, all of these things impact what the outcomes will be for an individual client. And there really is I don’t think a hard and fast rule to say one strategy works in this circumstance and another strategy works in a different one. It really is a question of looking at the client each year, making a determination on how their circumstances have changed and what impact that will have for their drawdown for the coming year. And it’ll be a decision that the client and the adviser make together. Do they want to change strategies or are they happy as they are? I think Andrew’s point earlier on about the fact that since pension freedom markets have been benign is a really important one because you always get this situation when markets have just been really going upwards only, people forget they can go down, and it’s good always to be prepared for circumstances where markets are less predictable than they have been over the last three years. We had a little bit of a correction in February where markets fell, and there was lots of talk about the implications of that. But that was fairly minor in the overall scheme of market corrections. You know, if we had a 2008 correction or a 1987 correction that would give a completely different complexion. And advisers should make sure that their clients are prepared for some of those scenarios. PRESENTER: And how much onus is on the client to say to the adviser that maybe it’s time to change or do something? Because I imagine if they have a life event thinking of talking to an adviser is probably not front of their mind, so how does that work? ANDREW TULLY: Yes, I mean it’s obviously very important that customers are honest with their advisers and very upfront on what their needs are, but also what they’re thinking and feeling at any particular time. If they’re very worried about what’s happened to their investments or they’re worried about what’s happening outside in personal life, then telling an adviser that kind of detail although it might be hard is very important because only in that way can an adviser figure out what the best way forward is. But I think Peter also touched on earlier some customers in some situations will just want to not have exposure to investments at some point in time. And again I think if people get into that situation they should be honest about it and say I appreciate what you’re telling me as an adviser, but actually my belief is I want to go in a slightly different direction, and then that at least allows that conversation to take place. PRESENTER: Yes, absolutely, and when it comes to things like risk and how much a client wants to take on, is that something that they really have to consider with the different strategies as well or not so much? 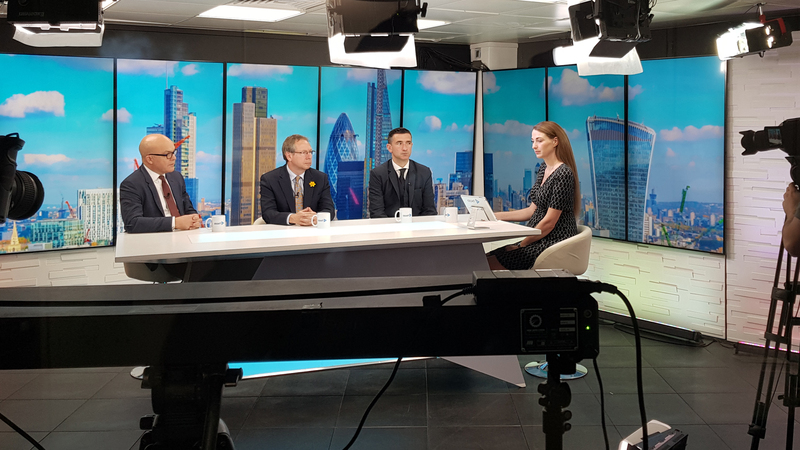 PETER CARTER: Oh absolutely, I mean I think a key element of all of these strategies is looking at the level of risk that the client wants to take. And we’ve got a strategy in here, annuitisation, which is a kind of, I won’t say no risk but certainly from an investment risk point of view it reduces it markedly. But certain strategies, for example the living off yield, is probably a little less prone to market fluctuations than some of the others because it’s not as exposed to sequence risk. But obviously it’s going to be a key starting point of any conversation with a client from an adviser’s perspective about what level of risk they want to take. ANDREW TULLY: And even within each strategy there’s different risk levels. So depending on what your underlying investments are, you change your risk level within each strategy as well. So certainly within unit cancellation you could be using more bonds and less equities and that reduces the risk within that strategy. But it obviously will impact on the income a customer gets as well. So it’s that trade-off between risk, upside growth and income. So it’s just trying to play all these different things together and how much they want to leave to family. So it’s very unusual a customer would come in and say I only have one aim and that’s income, for example, and that would be lovely for an adviser if that did happen. Usually they come in and say I want income, I want growth, I want to leave money to family, and the key for an adviser is trying to figure out what kind of priority order applies to these, and which is most important and which is perhaps less important in that situation. PRESENTER: Well, we are almost out of time, so what do you think are the key takeaways from this session for viewers would you say? PETER CARTER: Well I would say be open-minded. You know, we did some survey work about asking advisers of these five strategies how often they used them. And the clear front runners were unit cancellation and the cash buffer solution. And that’s fine, but I think that there’s still merit in advisers looking at all five of these for each client just to sense check that is the strategy that I’m looking at for this particular client actually the one that’s really going to work for them, or is there a potentially better one, or should the strategy be starting off on one and moving to another in maybe five or 10 years’ time? So be open-minded, you know, look at the client’s circumstances, and try and match what the client wants out of their retirement pot with a strategy that’s most likely to give them that outcome. PRESENTER: And how about you Andrew, what’s your final thoughts? ANDREW TULLY: And I guess final point from me is probably we can mix and match these strategies as well, so it doesn’t need to be an all or nothing, and the most simple example of that is buying an annuity with some of your fund and then going into drawdown with the remainder. But there’s other ways that strategies can be combined, which makes it more complicated but nonetheless that can be very valuable for certain clients. So as well as looking at all five, and there will be various other strategies or nuances of strategies in there as well, but it’s looking potentially at combinations and changing as people go through retirement. So it can get quite complicated but that’s where again advisers can help clients make the most of their retirement. PRESENTER: Andrew, Peter, thank you.